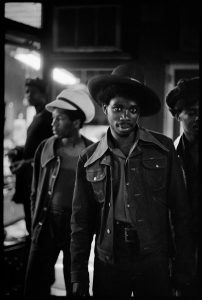 The New Rochelle Council on the Arts’ Rotunda Gallery presents “The Photography of Frank Stewart,” on exhibit from February 12th through April 30th. Mr. Stewart, who attended the Art Institute of Chicago and Cooper Union in New York City, is the Senior Photographer for Jazz at Lincoln Center. He has traveled the world for more than 30 years, taking remarkable images of musicians, people and places creating visual statements that portray sensitivity, lyricism and depth. “The Photography of Frank Stewart” can be viewed at the NRCA Rotunda Gallery Mondays through Fridays from 9 am to 4 pm. Parking is available in the rear of building. For more information, please call 914.224.4243. This entry was posted in Press Releases and tagged #FrankStewart, Photography. Bookmark the permalink.